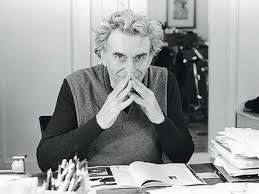 Hyman Minsky was a post-Keynesian economist whose ideas were rejected in their time because they were considered “overly radicals” but who currently (posthumously) has become very famous because his “financial instability hypothesis” seems to explain quite well the current crisis. 1) Hedge: Investments are financed in a way that they can fulfill all payment obligations regardless of the cash flows generated by the investment. Principal and interest payments on debt are insured for the proper time. 2) Speculative: In this case the agents bet on the future variations of the price of goods. Revenue flows generated by investments are adequate to meet the interest payment but the payment of principal is not guaranteed. 3) Ponzi: In this situation the payment obligations exceed the revenue stream derived from the investments. Agents have to borrow more and more to pay debts, so that the final solution is selling assets to obtain liquidity to afford the payments since the debt renegotiation is increasingly difficult. To understand why the instability is generalized in the system we must begin by understanding what happens in the boom phase. Firstly, financial stability (predominance of the hedge position) predominates and expectations are optimistic. Because of this economic agents rely on their ability to meet payments (solvency) and that the future returns on their investments will be more than sufficient (optimistic estimate of the marginal efficiency of capital). At the same time, banks, considering the environment of prosperity and the large amount of funds which they have available to lend, are more lax at the moment of establishing restrictions. Although some reluctances may arise on the part of lenders, these are diluted by the economic strength of the boom phase; system robustness makes the agents rely on that this one will not fail and therefore begin to take riskier positions (speculative and ponzi) which contribute, paradoxically, to making more fragile to the system (paradox of debt). Thus, the optimistic expectations lead firms to overestimate the performance of their investments and that banks underestimate the possibility of default on obligations. In this way it will begin to systematically happen that agents cannot meet their payment obligations as these exceed the yields obtained. Initially they will seek to solve this through the debt renegotiation but sooner or later the agents have to sell their assets to obtain liquidity, a process which leads to a deflationary episode that finally leads to the crisis with the subsequent bankruptcy of companies and banks. Thus, stability creates instability, the robustness the system makes it fragile and optimism leads to pessimism. Here is the great contribution of Minsky facing a discredited Austrian Business Cycle Theory: an “endogenous” explanation of the crisis. 17) Hyman P. Minsky, “The financial instability hypothesis”, The Jerome Levy Economics Institute Working, Paper Nº 74, May 1992.